Living on a Houseboat in London has lots going for it but there is one major drawback. You Need a Mailbox. Living on a houseboat in the canals of London’s Little Venice used to be an alternative lifestyle choice and a quiet one at that. The kitschy life of houseboat living was something you’d see on TV sort of like ‘The Good Life’ on a boat. However, the rapid rise of rent costs in the city has made houseboat living less an off-beat choice and more of a more cost-effective solution to staying in the city at a lower cost. Add to that the housing crisis and the difficulty of finding any affordable property to rent or buy in London and you can see why there has been such an explosion in houseboat living in recent years. 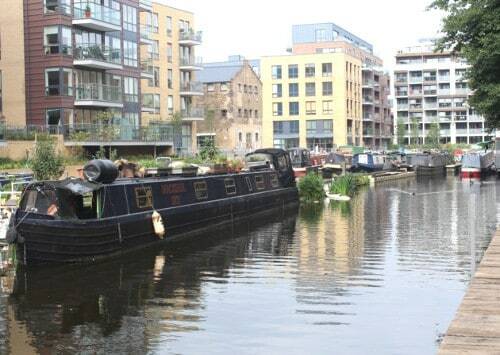 In only 7 years the number of boats on the canals in London has doubled. Not all houseboats are created equal. Setting aside the relative living area and state of maintenance of the boats, there is also the location and permanence to consider. Boaters who are able to take advantage of permanent mooring get the easy end of the stick. Permanent moorers often have postal codes provided for them which makes life in the UK an awful lot simpler. However, with the rapid increase of boaters in the UK, permanent mooring opportunities are few, far-between, and expensive. Because of this lack of permanent mooring, more boaters than ever are “continuous cruisers,” meaning they have to move from location to location, never staying in one spot for more than 14 days. Continuous cruisers, unlike boaters with permanent residence, have no provided postal code, and in the UK this is a big problem. Everything from voting to applying for a credit card to receiving mail or a magazine subscription is made a thousand times more difficult when you have no postal code. Without one, many aspects of everyday life are made much more difficult than necessary. Registering to vote without a postal code is as close to impossible as it gets, even though there is no law stating citizens without a postcode can’t vote. 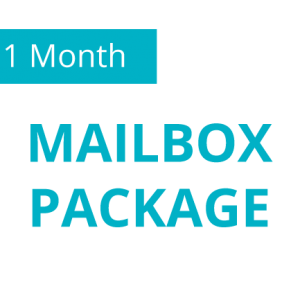 Mail becomes an issue too, as not all postage can be sent to an office where you work, and some continuous cruisers don’t have an office to send mail to in the first place. Laws written with postcodes or jurisdiction in mind become a bureaucratic nightmare that can take months or years to smooth out. And forget about getting a pizza delivered, because that’s close to impossible, too. Essentially, living on a houseboat in London (or anywhere in the UK, really) means that you don’t exist. That’s how the law tends to handle it, anyway, and that’s why getting a mailing address is so important to boating life. It’s worth noting that there are times when a straightforward PO Box is not going to cut it. Opening a bank account, for example, would not be possible with only a PO Box. You need an actual full address for that. N1 Mailbox can provide you with a central London mailing address (not a PO Box) to help solve your postal code problems for an affordable monthly rate. This allows you to worry about the boat, not the tangled up bureaucracy. And if you are running a business while on the move, our virtual office services can give you a far more businesslike image.